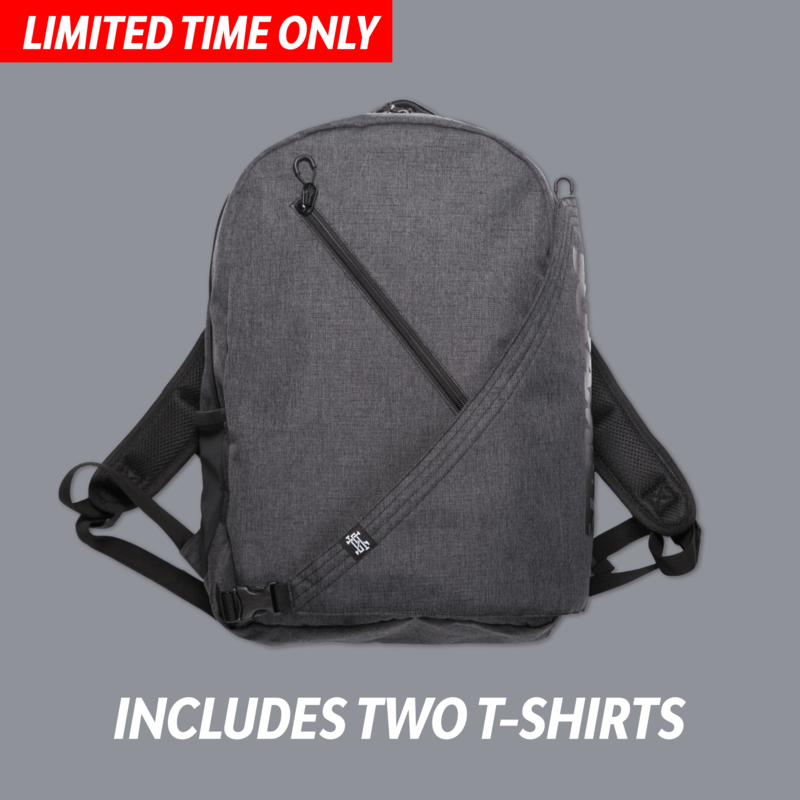 With this offer you get the Scramble Kimono Backpack, and two free mystery shirts. The Scramble Kimono Backpack was once described by Mick Jagger as “The single greatest jiu jitsu luggage accessory I have ever seen in all my long years.” At least I think it was Mick Jagger. I don’t know, we had drunk a lot of organic gut biome yoghurts and I was feeling pretty squirly.